KSB Pumps Ltd. launched “Magnochem” pumps in India. These Standardized Chemical Pump with Magnetic Coupling are suitable for handling aggressive, toxic, explosive, valuable, flammable, malodorous or harmful fluids in the chemical, petrochemical and general industries. Magnochem - Horizontal, seal-less volute casing pumps in back pull-out design with magnetic drive confirms to ISO 2858 / ISO 5199. Magnochem pumps are Atex compliant also. Its broad range of variants offers excellent flexibility. Pumps are optimally designed for excellent energy efficiency and offers maintenance free long life. Magnochem pumps are available in 26 different sizes and are designed for 40 bar operating pressure and have capacity to pump liquid up to 300 cu. mtrs. per hour at head of 150 mtrs. To cater to wide range of applications; hydraulic components of Magnochem are available in different grades of Stainless Steel and it can withstand fluid temperature between -90 and +300 deg. Centigrade. 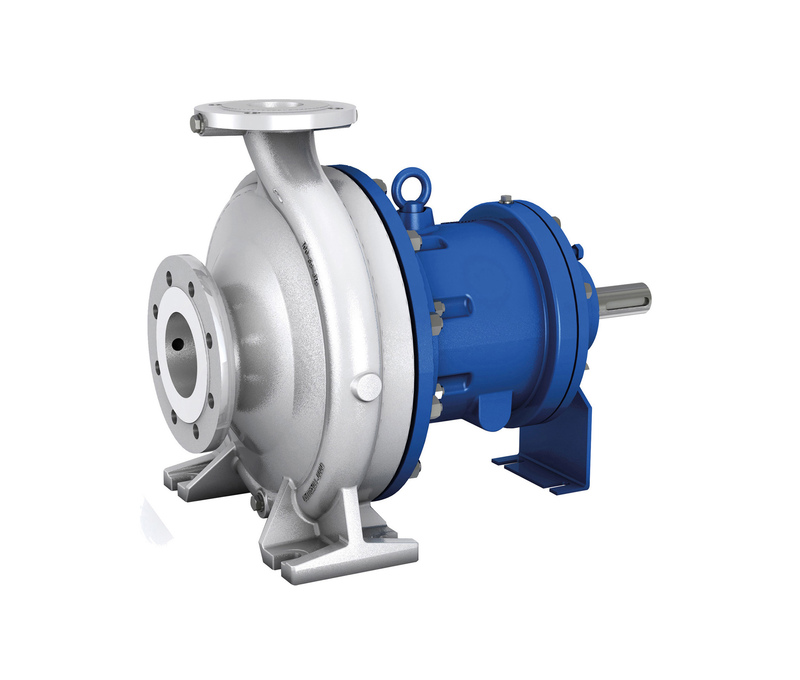 These pumps are available in India through KSB’s wide spread authorized dealer network. KSB Pumps Limited, Mumbai-Pune Road, Pimpri, Pune – 411018.